How to Prolong the Life of Iron, Dishwasher & Microwave Oven? 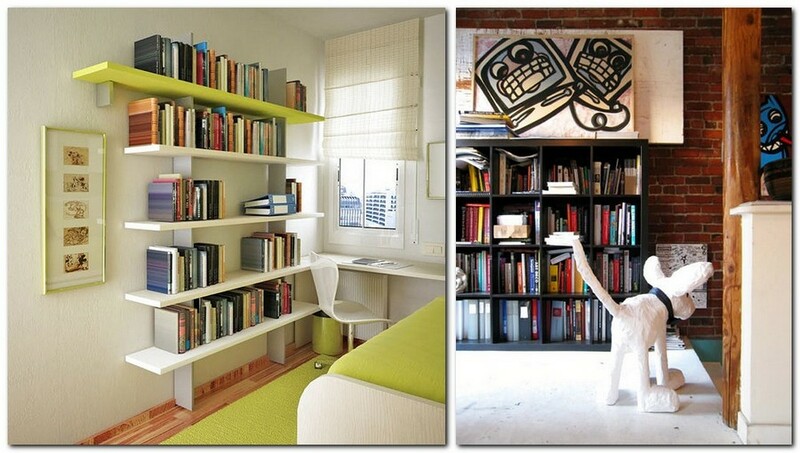 Home interior can be refreshed even by means of such a small and trivial detail as a bookshelf. And this doesn’t mean that you have to buy a new one – just use a few design tricks to refresh your old ones. There are many ways to do this, actually, but we’ll show you the easiest, most popular and affordable. 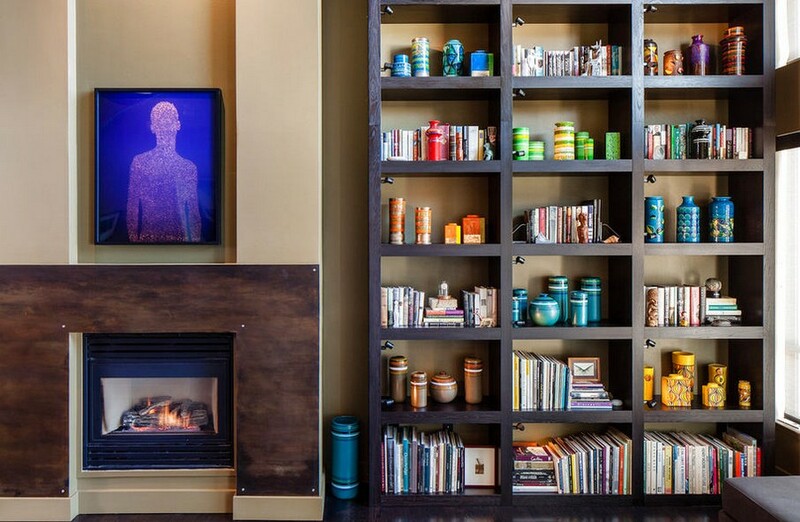 Bookshelves with some unhackneyed background look bright, stylish and original. 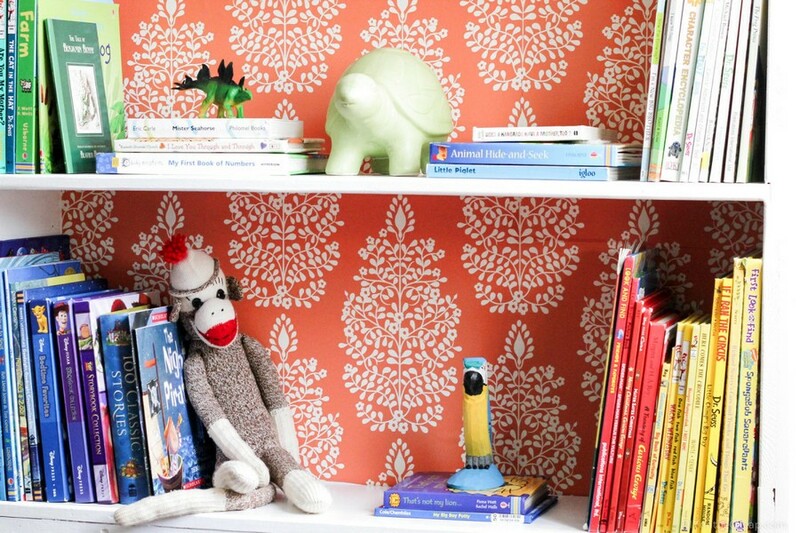 You may paint the wall behind them your favorite color, cover it with matching or accenting wallpaper, arrange a picture or paint an ornament. 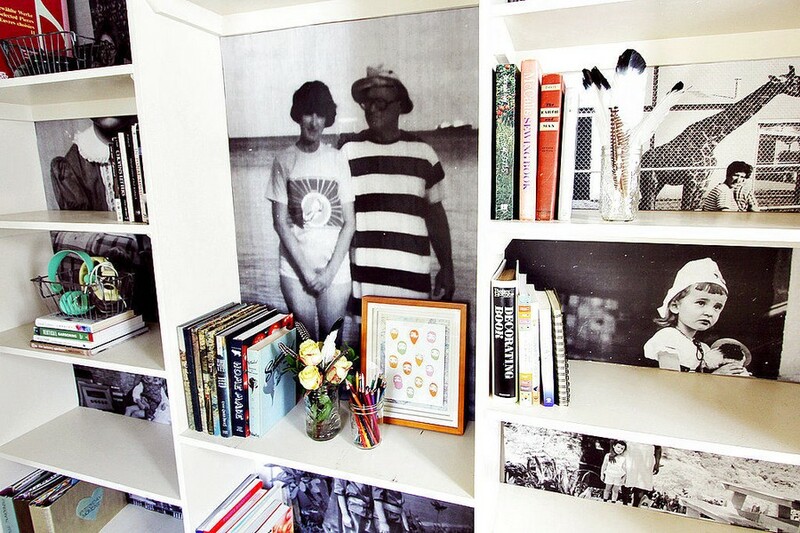 Also, you may use old (or new) family photos – just attach them to the back of the shelf using a double-sided sticky tape and this small detail will bring a note of warmth and hominess to your interior. 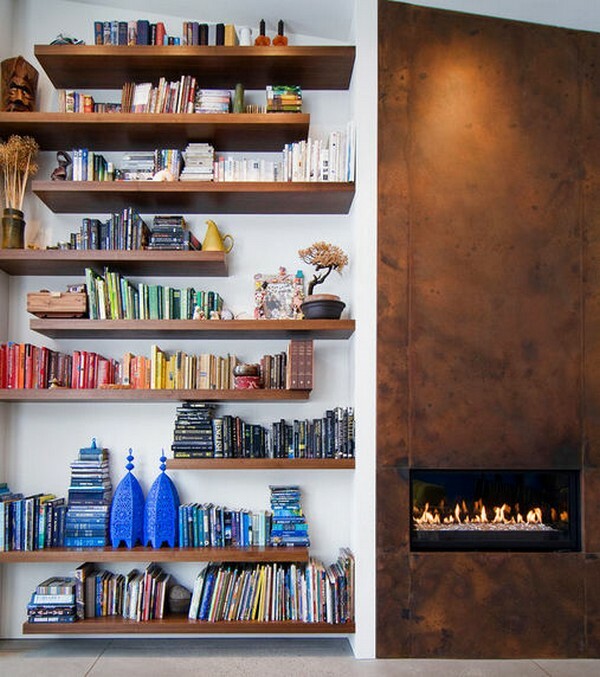 There is one more fresh interior solution for upgrading your bookshelves: just overturn the books so that you could see the fore edges of them instead of backs, as is customary. In fact, you may as well display the top and bottom edges – any option will look unhackneyed and stylish. Of course, this idea is not quite practical and convenient for using the home library, but it’s definitely original and non-trivial! 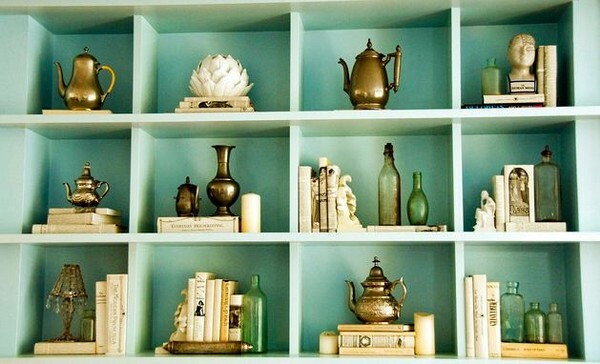 Let’s not forget that a bookshelf can always be repainted. Choose your favorite color or pick out a hue that will match the color scheme of the room interior. 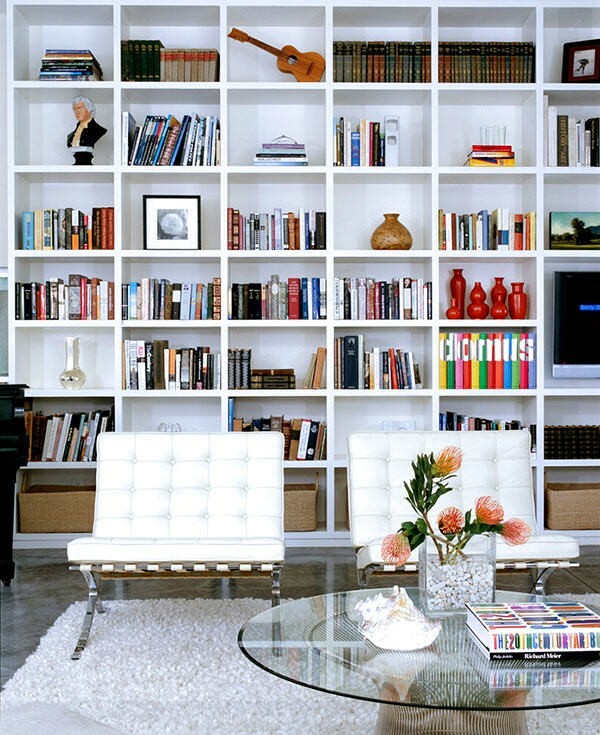 Should you have any hesitation, give preference to white – it’s 100% universal and will match any interior style. 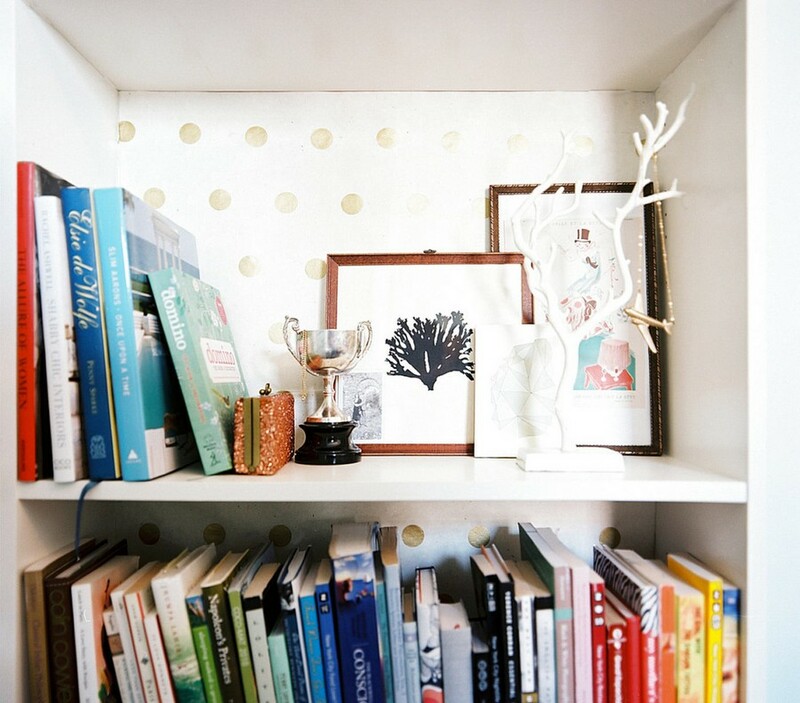 By the way, you don’t have to repaint the entire shelving unit – even one contrasting shelf will form the expected dramatic effect. 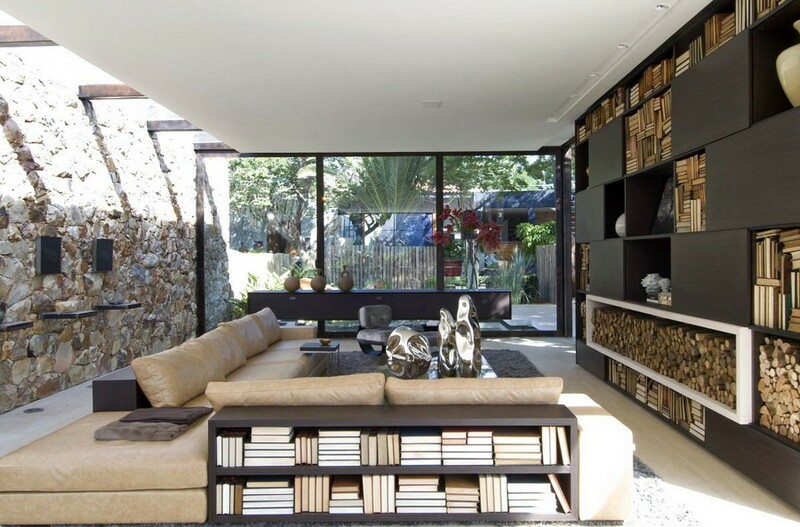 If you don’t feel like changing the shelves, you may change the books on them. 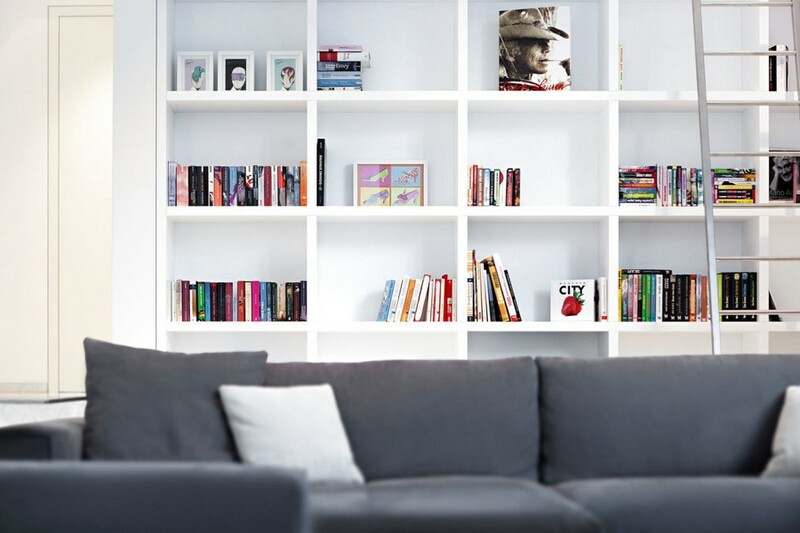 You’ll be amazed to find out how different not just the library, but the whole room in general may look after this small change. Of course, the books will be kept in their original state, but the way there are arranged on the shelves can be slightly modified. 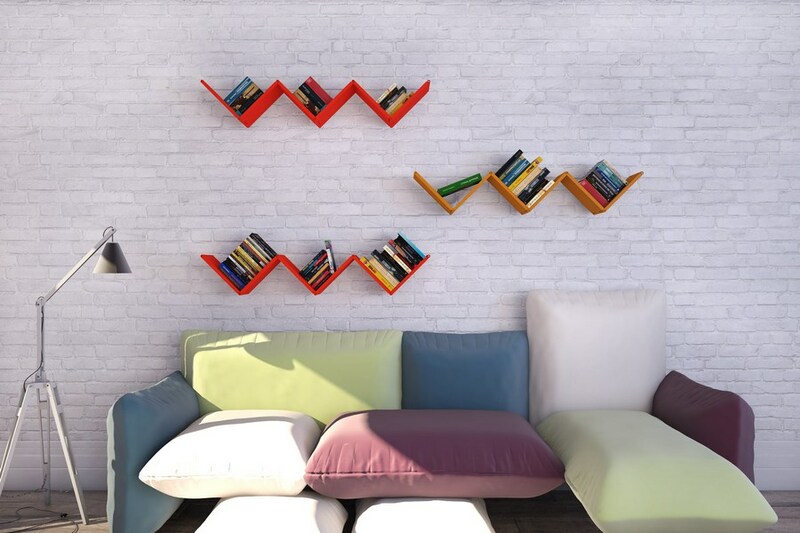 One of the options is the combination of vertical and horizontal arrangement on different shelves. 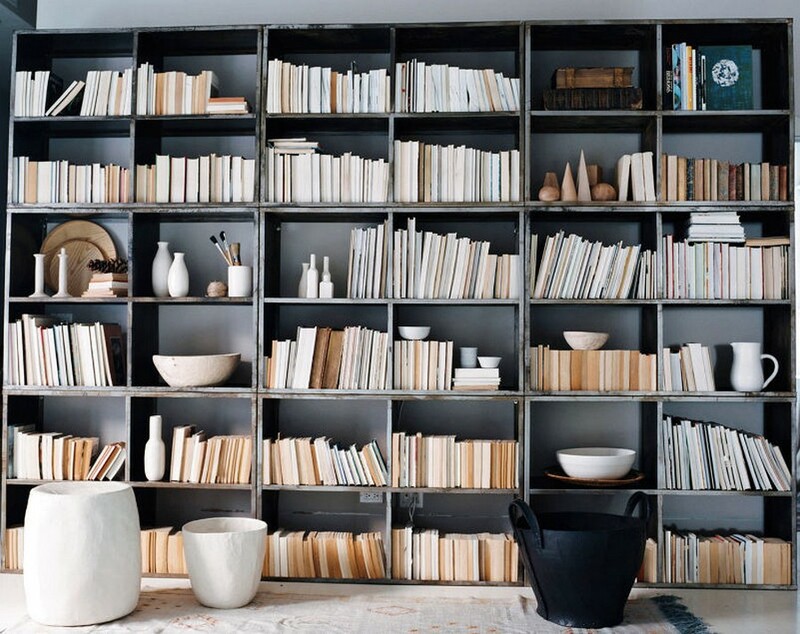 Alternatively, you may mix vertically and horizontally arranged books on each shelf. 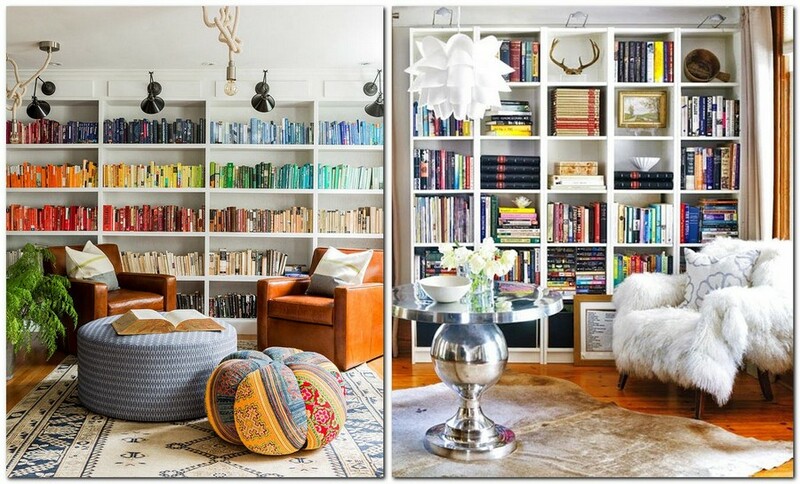 A bright and spectacular option is grouping the books according to the colors of their backs. 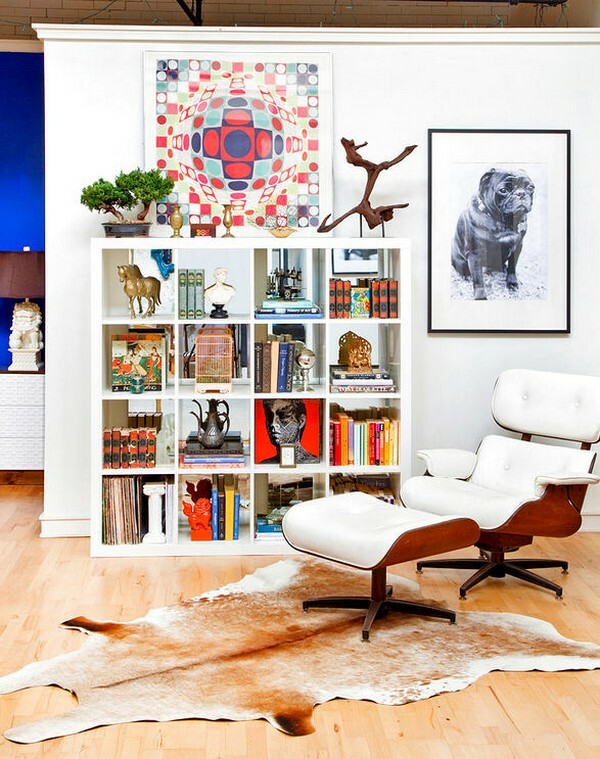 And if your home library features beautiful large-format publications, you may display their covers and they’ll become elegant accents of the room. In a word, try different variants and find one for yourself. 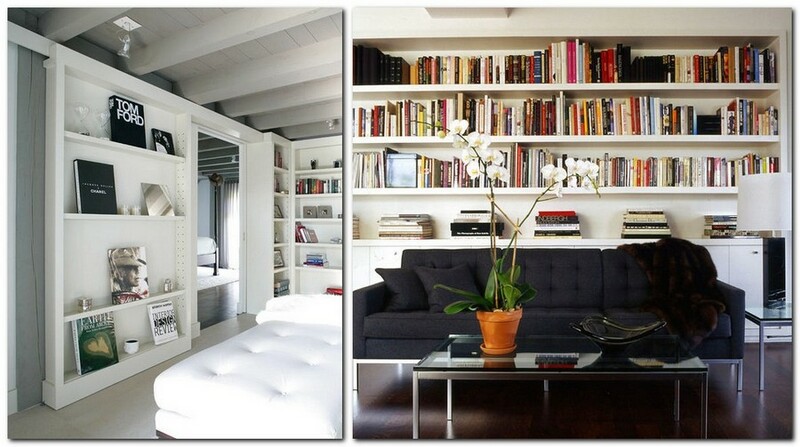 A perfect balance between books and accessories is a key to a stylish decor of bookshelves. 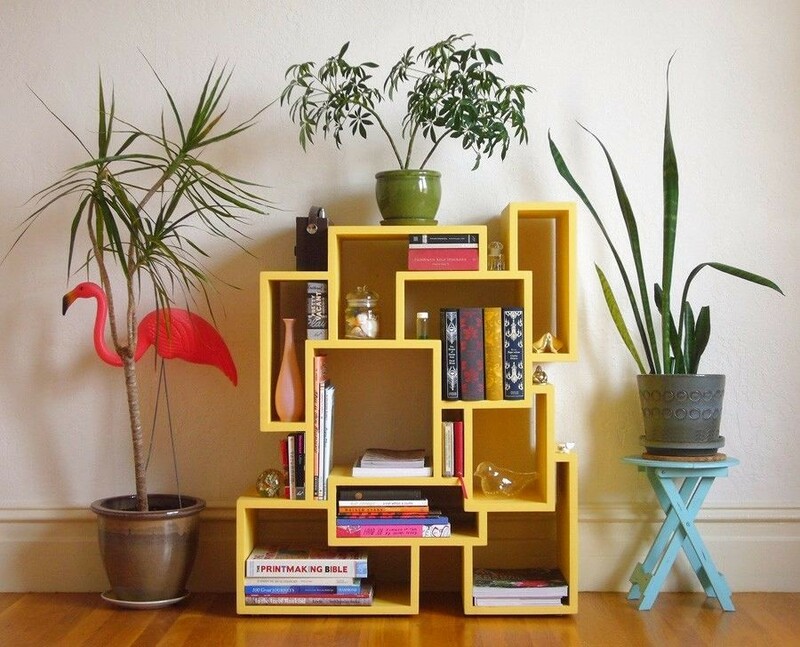 You may add figurines, vases, flower pots, book holders, toys and etc. 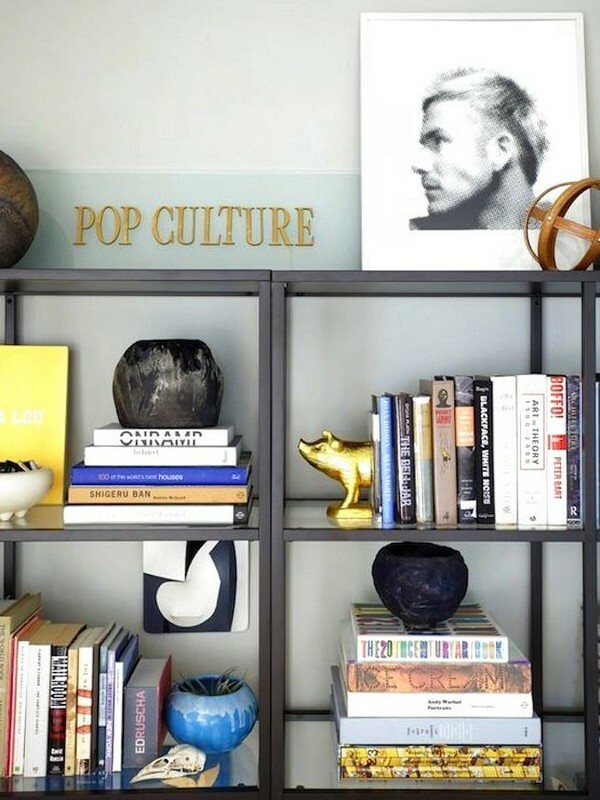 The key thing about accessories is the sense of moderation – they should blend with the books and preserve visual harmony. A great and trendy idea is to add inclusions of eco-style: a bowl with pebbles, corals, shells, tree branches – natural materials would fit into any interior.